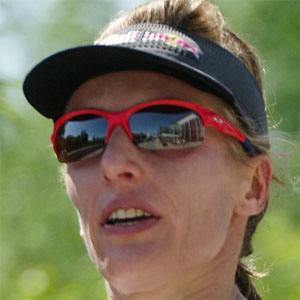 Triathlete who had a dominant stretch at the Ironman World Championships from 1996-2005, where she won six gold medals and two silvers. She was a very successful youth athlete. She is known best for being a force during the bike leg, and for smiling while competing. She married her coach, Toni Hasler, and has a daughter. She is one of the few women to win multiple Ironman World Championships, along with triathletes such as Chrissie Wellington.